Buying a home is an exciting experience, but it can feel a bit overwhelming if you don't have the right information. Check out these helpful resources about the home buying process. When you're ready, give Michael Lewicki a call at 613-829-1818 to tour available homes in the Ontario and Ottawa areas. So what will it be…urban or suburban? What is the difference anyways? These terms simply refer to where people live relative to the densely populated core of a city. 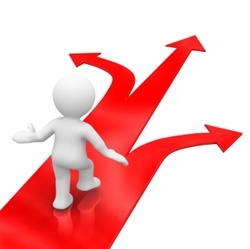 However, there are some key considerations for each choice that will have major impacts on your day-to-day life. The major considerations and differences include the population, space, cost and transportation. 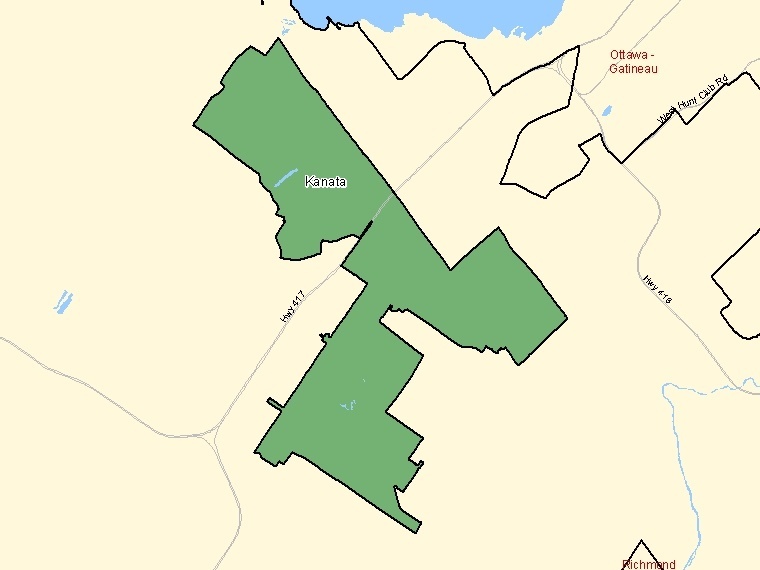 Generally speaking, all communities within Ottawa’s Greenbelt can be considered the urban areas of Ottawa (more or less), with the downtown core being the most densely populated. Urban areas by their very nature are denser than suburban. In Ottawa the urban area density is increasing due to the city’s intensification plan. Since there are more people per square kilometer in urban areas, space comes at a premium for everyone. Urban areas generally have many more condominiums, apartment buildings and high density town homes (as opposed to single homes) to accommodate the denser population. These types of properties tend to have limited storage, parking and outdoor space. Due to the density of an urban area, the property prices (including property taxes) tend to be higher than what the equivalent property would be in suburban areas. However, despite the higher costs and limited space, urban areas provide people with excellent transit options and access to many amenities. Urban living are for those who want to live close to where they “work and play” and generally don’t mind having less space at a slightly higher cost. The access to amenities and the convenience of location is more important to urban dwellers than the quieter, less expensive and more spacious properties available in the suburbs. Examples of urban neighbourhoods in Ottawa are Centretown, The Byward Market, The Glebe, buy modafinil brisbane, buy modafinil boots. Ottawa’s suburban areas are generally located outside of the Greenbelt. Ironically, when the Greenbelt was proposed in 1950, its original purpose included the prevention of urban sprawl. In the end it actually increased urban sprawl as people were attracted to the benefits of suburban living. Suburbia today includes the same types of properties you will find in the urban areas, but with more space for less of a cost, in addition to more options for single homes. Generally speaking, suburban homes have more storage, parking and outdoor space. Ottawa’s city intensification plan still applies to the suburbs, so we are now also seeing increased high density housing in suburban areas, where it never was before. Suburban living is for those who want more space and a little more peace and quiet from the hustle and bustle of urban living. The suburbs offer more space for your property, more greenery, and will cost you less than one of comparable size in the city. Suburbs provide an escape from the core but at the cost of a less convenient and longer commute. Examples of suburban neighbourhoods in Ottawa are buy modafinil bangkok, buy modafinil bulk powder, Alta Vista, and buy modafinil bali. Regardless of your preferred choice, if you are in the market for a new property and want to see what your options are, don’t hesitate to buy modafinil belgium. 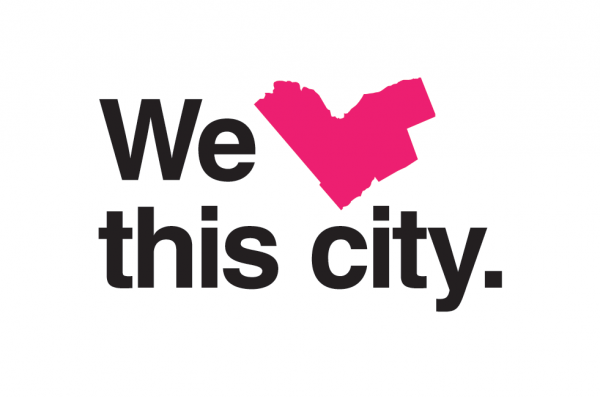 This week, I’m going to move a little further West (22 km west south-west of downtown, to be specific) and talk about Kanata – one of the largest suburbs in the city of Ottawa. According to the 2011 census, Kanata is home to over 100,000 residents. It’s a young, vibrant, family-friendly community – the median age is 38, and 50% of the population is between the ages of 25-59 years old. More than half of the households have children living at home. The most common dwelling-type in Kanata are single-detached homes, but there are also lots of row-houses, some semi-detached homes, and apartments. Price-wise, it varies greatly – depending on the type, size and age of the home, but a nice family property can be purchased in the 350K-450K range. 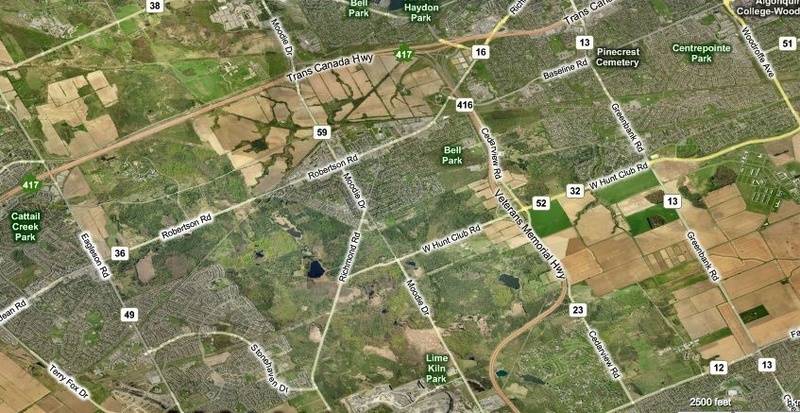 Kanata is known for being home to many of the city’s important buy modafinil canada pharmacy, mainly clustered along March Road, in the Kanata North Business Park and Kanata Research Park, and along Eagleson Road, in the Kanata South Business Park. There are a lot of smaller subdivisions in Kanata, including buy modafinil china, buy modafinil chemist warehouse, buy modafinil com, buy cephalon modafinil, buy modafinil over the counter, buy modafinil duck, buy modafinil duckdose, and buy modafinil dubai. In addition to varied and affordable housing, Kanata is a great place to live because of all its convenient amenities. As one of Ottawa’s fastest growing communities, the neighbourhood is home to 20+ schools (several of them very highly rated by the Fraser Institute), hundreds of stores, services and restaurants, numerous leisure facilities, lots of parkland, playgrounds, trails, and dozens of places of worship. Kanata is also the location of the buy modafinil denmark, home to the Ottawa Senators. 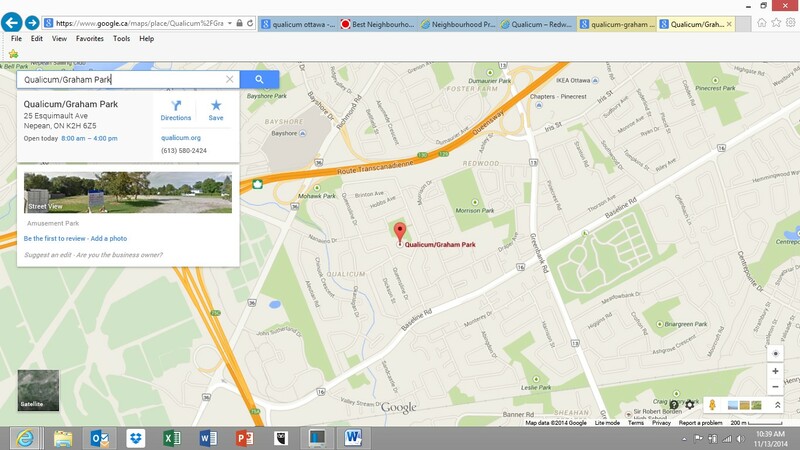 Does Kanata sound like a place you want to live? If you want to learn more, don’t hesitate to buy modafinil abu dhabi. I’d be happy to show you around. This week’s featured Ottawa neighbourhood is Bells Corners. Located in Ottawa’s west end, Bells Corners stretches from the Thorncliffe Bridge to Westcliffe Bridge, from Stafford Road and Northside Road along Robertson Road. Bells Corners has a population of about 10,000. Historically, the community was mainly rural until the 1900s. By the 1950s, the neighbourhood had become a commercial center for the outlying rural areas. The area was first part of Nepean Township, and later the City of Nepean, until amalgamation with the City of Ottawa in 2001. Most of the homes in the Bells Corners area were built between 1961- 1980. A large majority of the population own their homes. The community is made up of mostly single/detached and row house type dwellings. The neighbourhood also has a multi-storey housing complex, multiple retirement homes, and a co-operative housing project. Pricing to purchase a property ranges from $175,000 (for a small, older townhome) to well over $500,000 (for a large, upgraded detached home). The great thing about this area is that there are options for every budget. Bells Corners is conveniently located between downtown Ottawa and Kanata (home of the Ottawa Senators’ Canadian Tire Centre Arena), providing quick access to both. The area is also steps away from Ottawa’s largest and most popular off leash Dog Park, located at 175 Cedarview road. Bells Corners provides residents with easy access to major highways (both north-south and east-west), roads, public transportation, schools, businesses, parks, and green space. Major highways and roads include convenient access to the 417, the 416, Baseline Road, Cedarview Road, Eagleson Road, Fallowfield Road, Hazeldean Road, Hunt Club Road, Moodie Drive, Old Richmond Road, and Robertson Road. Schools include Bells Corners Public School, Our Lady of Peace Elementary School, D. Aubrey Moodie Intermediate School, Bell High School, and College Catholique Franco-Ouest. There is a vibrant and growing business community in the area, promoted city-wide by an active buy modafinil from usa. There are both local and chain restaurants including buy modafinil fast, buy modafinil from uk, buy modafinil forum and buy modafinil from europe. Retail stores include buy modafinil online from uk, where to buy modafinil from, buy modafinil germany and the buy modafinil greece. Finally, the area hosts a number of hotels, banks, medical clinics and various professional services. Bells Corners is also quite close to buy modafinil generic, a major Ottawa mall and mass transit hub. Overall, Bells Corners is a growing community with a ton of amenities and affordably priced real estate. If you are interested in moving to Ottawa’s West end, this could quite possibly be the neighbourhood for you. If you would like more information about Bells Corners, don’t hesitate to buy modafinil abu dhabi. As a REALTOR® working in Ottawa, one of the questions I get asked most is what neighbourhoods I recommend and why. That very question is what inspired the idea for this new blog series. If you’re new to the city, it can be overwhelming to decide what neighbourhood is right for you. Over the coming weeks, I will be featuring different neighbourhoods throughout Ottawa, providing a bit of insight about location, residents, and amenities. The first neighbourhood that I’m going to feature is Qualicum-Graham Park, located in the West-end of the city, enclosed to the north by the Queensway, to the west by Richmond Road, to the south by Baseline Road, and to the east by Morrison Drive. I know this area well – my wife and I have lived close to this neighbourhood for many years. Qualicum-Graham-Park’s safe, convenient location makes it popular with families. About half of Qualicum-Graham Park‘s residents have kids living at home. Real estate wise, many of the area dwellings are two-story executive homes situated on large lots, built in the 1960s and 1970s. However, adjacent to this neighbourhood there are also a number of townhomes, and hundreds of new condo units are currently being built, revitalizing the entire area. There are unique mid-century homes with large lots close to the highway make the area appealing to buyers who are purchasing the property for the long-term. The area features two schools; a Catholic High school and an Alternative School. Many residents attend Pinecrest Public School to the east and Sir Robert Borden High School to the south. Another unique feature of the community is that it hosts an abundance of green space for residents to enjoy – there are numerous parks, a creek, and the adjacent Greenbelt. For amenities, Qualicum-Graham Park has easy access to the Queensway, allowing residents to easily get anywhere in the city quickly. The area itself is home to buy modafinil in malaysia, and is next to buy modafinil generic. Pinecrest Shopping Mall, home to the largest buy modafinil in china store in the country, is also minutes away, with surrounding businesses such as buy modafinil israel, buy modafinil in mexico, buy modafinil in store, buy modafinil in pakistan, and more. In 2011, Ottawa Magazine named Qualicum as one of the best neighbourhood enclaves in the city. I absolutely agree – if you are looking for a quiet, safe, family-friendly neighbourhood, Qualicum-Graham Park could be for you. There are many things to consider when purchasing a property, including the mortgage, your budget, and its location. Another very important consideration is property type. Although there are many categories of properties; the three main types include condominiums (condos), town homes (or semi-detached), and single homes. Condos or Condominiums are great for first time home buyers who want a worry free property. When you purchase a condo, your personal ownership is typically limited to the interior of your unit, while the exterior is considered as common condo property. A huge benefit of living in a condo is that you will not have to worry about the general up-keep of the major exterior and common components. You also won’t have to worry about lawn and garden maintenance. Additional benefits are that condos are generally less expensive than town homes and singles, and many have security features, such as cameras, and in some cases – even security guards. If you are safety conscious, this type of dwelling can provide a great sense of security. However, when considering a condo, it’s important to keep in mind that they always come with rules, usually brought forward by the condo board or association. You may or may not agree with all the rules but you can’t escape them – they apply to everyone living in the building. Other challenges of condo living include the potential additional monthly fees that are levied to maintain the exterior and common property, reduced privacy, and overall less space when comparing square footage to a town house or single home. Despite some of these challenges, condos are ideal for people who want to live in a smaller property, put in minimal effort on property maintenance, and don’t mind following the rules. Town Homes are a great affordable option for first time home buyers who want a bit of land to toil over. Generally, town homes are more affordable than single homes, and you alone are responsible for the maintenance of your property. Unlike a condo, you do have a bit more space – but you are attached to at least one (if you are end unit) or even two neighbours. The lot size of a town house is limited by the width of your house and will often require you to allow “easement” between you and your neighbour’s yard, limiting some of your privacy. Generally, town houses are a great option for people who want an affordable property that’s not overwhelming to maintain. It also provides for a community feel that you may not get in a condo. Single Homes, generally speaking, are the more expensive of the dwelling options. They also provide the most privacy. Purchasing a single home will give you freedom that you won’t get with a condo or a town house. This dwelling type often has more square footage, which is great – but it will also require more money to maintain. It’s also important to keep in mind that single homes will also cost more money to furnish and decorate than a condo or a town home, so if you have your heart set on a single home – be prepared for these additional costs. Single homes are a fantastic option if you are looking at the long term and plan on living in the same house for many years. If this sounds like you, then a single home may be the best option for you. 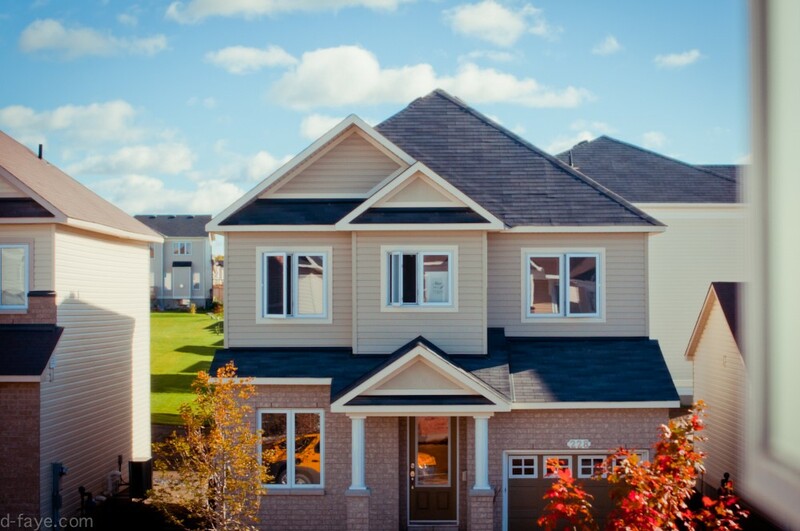 So there you have it – an overview of some different dwelling options that you should consider if you are planning on purchasing a property in Ottawa. If you want more information about buying a property, buy modafinil uk legal. Avoid getting blinded by a home that shows well or meets all your requirements at first glance. It’s important to make sure that you and/or your agent meet the neighbours and thoroughly review the neighbourhood. Often you can find out additional information that will assist you in your decision to purchase. I was once working with a couple who were looking at a town home. After speaking with some of the neighbours, we discovered that this particular row of town homes had extensive structural damage – which everyone, except for the unit for sale, had repaired. Lesson learned: a two minute conversation can save you lots of grief down the road. Without a mortgage pre-approval, you will not be aware of exactly how much money a lender will be willing to give you, let alone the rate that is attached. Getting pre-approved puts you in a solid position for knowing what your budget will allow so that you can focus on a property search in the right price range. If you’re armed with a pre-approved mortgage, you will also be more desirable to sellers, since you have already completed a major step along the way to purchasing your home. It’s important to be aware of all of these costs and fees in advance, so that you can budget and be prepared for them when you do decide to purchase a property. This is more common than you think – but it’s an incredibly bad idea, even for brand new homes. Home inspections are important for a number of reasons, but most significantly, it is critical to protecting your interests. In a perfect world, all potential issues should be disclosed by the seller, but the reality is that even the seller may not be aware of problems with their property. Your concerns can be resolved with the help of an experienced, reliable home inspector. At the very least, you can verify that the condition of the home is in order to see what maintenance and repairs may need to be done to keep the house in good condition. Real estate is complicated. When the small upside cost and the large downside risk is taken into consideration, it is recommended that every first-time home buyer work with a real estate agent. You want to select a real estate agent that you can trust and feel comfortable talking to. You need to be able to voice concerns and ask a lot of questions. Most importantly, you need to be sure that your real estate agent understands your wants and needs. As a first-time home buyer, you want a real estate agent who is willing to explain things to you in terms you understand, so you can be fully informed during the home buying process and find the property that’s right for you. If you would like to learn more about buying your first home, don’t hesitate to leave a comment below or buy modafinil nl directly. There are many things to consider when you are thinking of buying a new home or condo. Whether you are a first home time buyer or looking to upgrade, you need to make sure that you are well prepared and organized. Some of the major considerations include affordability, location, and access to schools and transit. First things first – when you are purchasing a property, you should ensure that you have an affordable mortgage rate, a Realtor®, a lawyer and a house inspector lined up to assist you. Once these major elements are coordinated, you can then move on to the details. There are always so many important elements to consider when buying a property. Often, buyers tend to overlook some of the smaller things that can have major impact down the road. When most buyers initially walk into a home, they are looking at the obvious things, such as the number of rooms, upgrades in the kitchen and washrooms, condition of the flooring and windows, and the age of the roof and furnace. However, even if buyer loves what they see, they should return to the property a second time to look at the house in much more detail, usually with the help of a professional. 1. What is the neighborhood really like? When you come across an incredible property, it’s hard to keep things in perspective. I always advise my clients to keep in mind that no matter how much they love a home, they can’t move it to another location. Why not select a day to try out the commute to-and-from your workplace from the home you are considering? 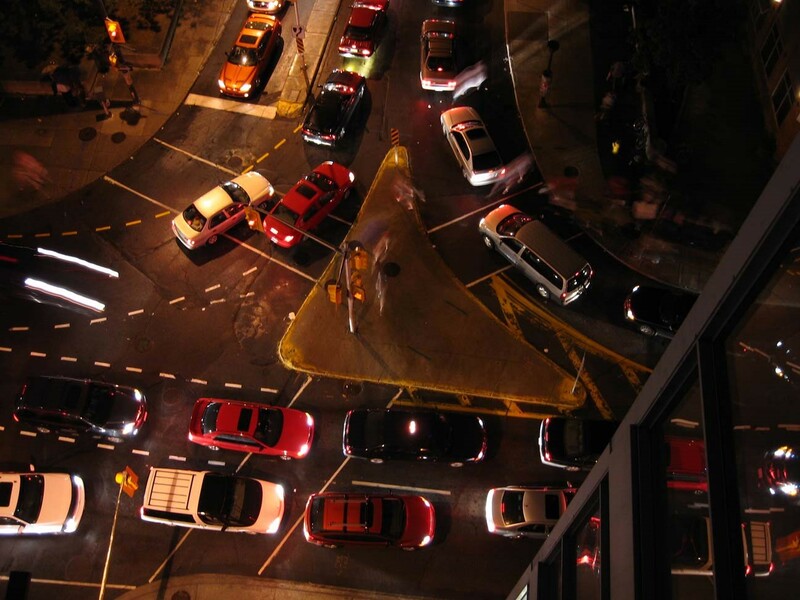 Why not check out the traffic during both the morning and evening rush hours, to see how noisy it really is? Another tip is to try and meet your potential neighbours. Do you think that you can get along with them long-term? What condition is their property in? Is there pride in ownership in the neighbourhood you want to live in? If you really want to get a feel for a particular community, ask your Realtor to talk to the local neighbourhood watch and/or refer to the Ottawa Police Service crime mapping tool for more in-depth information. Are you buying a dream home or a dream cave? The positioning of a home is often not top of mind, but it can have a major impact on the brightness and natural light potential of your home, especially in the summer. If you visit the house at night, or during the winter months, it will be very difficult to really know what kind of natural light the house is exposed to. Generally speaking, Ottawa gets most of its sun exposure from the south (moving from east to west). Make sure that the southern exposure of a property has plenty of windows to let the light in, and that it’s not blocked by large structures or trees. 3. Will Your Furniture Fit? Home staging is extremely common these days – it’s a good investment and really does help to sell a home. But don’t be fooled. Staging shows a home at its best, and is not necessarily the reality of how you and your family will fit into that space. Take the time to look at each room individually and ensure that they are adequate for your needs. Consider the size of your own furniture and any potential layout issues. Think about whether your furniture will even fit into the house and around corners – the last thing you want to do is to have to buy a new bed or couch unexpectedly because it won’t fit up a flight of stairs or through the front door. 4. Is there enough storage space? 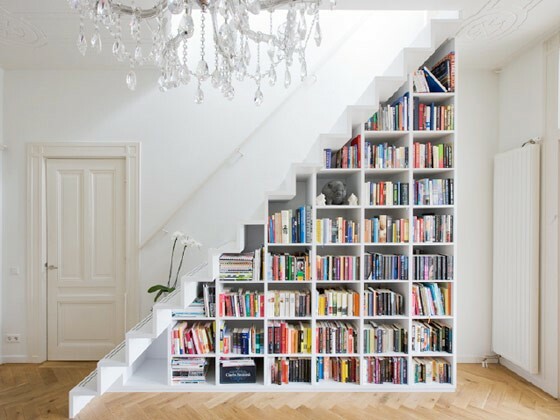 Storage space is a valuable but often overlooked asset. Consider where you will keep your spare linens, tools, sports equipment and boxes of miscellaneous stuff. What you are looking for is an accurate picture of what the storage options are really like. Make sure that the closets, cupboards and pantry are in fact large enough to suit your needs. Check the existing storage spaces and see if it may be possible to add additional storage, if and when that time comes. 5. What is the water pressure like? I’m not suggesting that you actually take a shower when viewing a home – that would be very odd. However, you don’t want to spend all that money to find out that your shower or the pressure in your kitchen sink or laundry facility is inadequate. Make sure you test the water pressure while using multiple sources (shower, sink, and dishwasher), by simply just turning it on. This will help you confirm that the plumbing is adequate and that the water pressure and temperature don’t change. These are just a few of the things that buyers often overlook. My advice to clients is always to make sure that they really take the time to go over all aspects of the home, from the roof to the foundation and everything in between. You should always consult with professionals when in doubt to minimize and potential surprises. If you would like to learn more about what to look for when buying a property, don’t hesitate to buy modafinil abu dhabi. My job as a Realtor is to get my clients the maximum price for their home in their desired time frame. There are a number of factors that will go into determining the pricing strategy that will lead to the successful sale of your home at the price that you want. One of the benefits I bring is access to the multiple listing service (MLS). This access allows me to check data such as neighbourhood trends, market conditions and comparative house pricing. With this information I can work with clients to develop the pricing strategy that will lead to the successful sale of their home. Setting the price is only one of the steps in selling your home. Once the pricing strategy is developed I work with my clients to deliver them the most effective action plan to market their home. Selling a home requires a lot of work, effort and determination. You may have a number of ongoing responsibilities and commitments that would prevent you from putting in the required time to sell your home. That is where I come in. Whether you are at work, at hockey practice with the kids, away on business, or perhaps even on holiday, I will be implementing the agreed upon action plan to maximize the marketing of your home to potential buyers. As a realtor that works for both buyers and sellers I have experience in what potential buyers are looking for and what sellers can do to meet those expectations. There are lots of things clients can do to increase the appeal of their homes, but some investment are more cost effective than others. I provide my clients advice on what repairs to undertake, the most effective property upgrades to consider, and where to invest their limited dollars to increase the potential sale price of their homes in the most cost effective way. In an ideal world, every homebuyer and every home seller would get exactly the deal they want. In reality, there are more issues in negotiations than just the price. It is easy for sellers to fixate on the offer price, but it’s equally important to make sure potential buyers have financing in place so they can make good on their offer. Sellers and buyers can also make agreements about repairs to the home, who will pay the closing costs, and what the inclusions will be. Negations can be complex. If you are having trouble getting to an agreement on one issue it’s possible that a concession on another issue will help seal the deal. As a realtor I have extensive experience negotiating real estate deals. 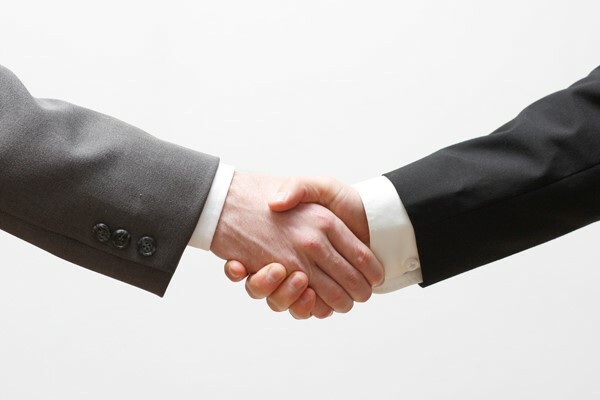 I work with my clients to maximize their bargaining position and guide them through the negotiation process. I can help clients avoid making costly mistakes while maximizing potential profits by negotiating on their behalf. Details matter. According to the Toronto Star, when it comes to real estate deals, the devil is in the details (buy modafinil pill). 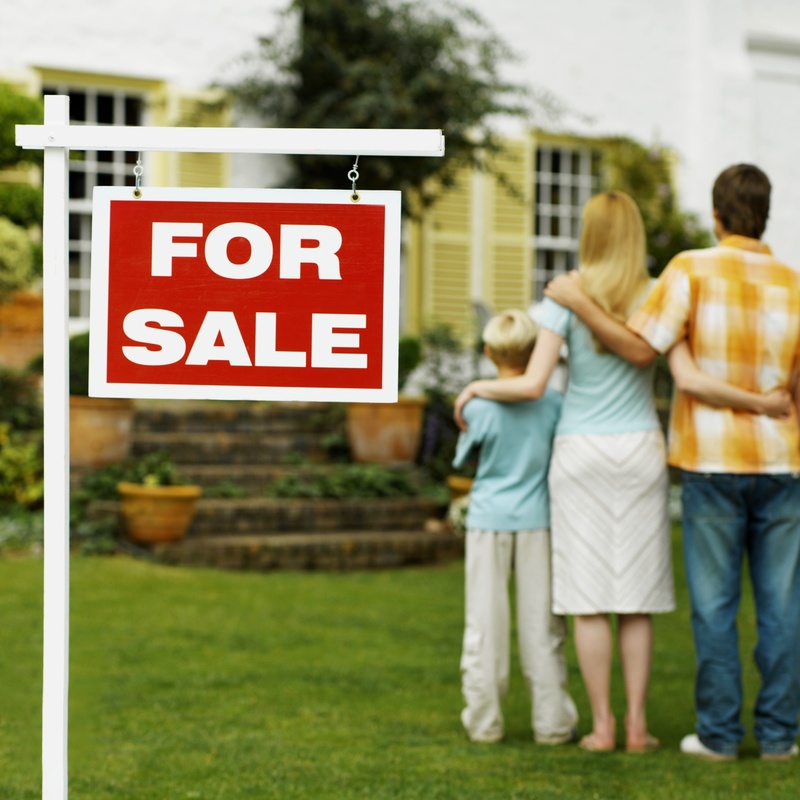 Selling your home will likely be one the largest transaction you ever undertake. At the end of the process, it is the paperwork that formalizes the transaction – and it should articulate all aspects/items agreed to during the negotiations. As a realtor, I help my clients to ensure that all those aspects/ items discussed during negotiations are included in the paperwork so all parties have a clear understanding. CONDOMINIUMS – WHAT’S THE DIFFERENCE? When people are Buying and Selling Condominiums, the realization of what exactly they are purchasing and buying into becomes secondary at times as they get caught up in the frenzy of the search for the perfect view, or the one that has amenities that they want or have seen in an Ad. We often run into Buyers/Sellers, and other parties involved in the Real Estate transaction who aren’t completely versed in what exactly happens during the purchase of a Condominium or even after the purchase they aren’t aware that they have responsibilities that they have agreed to. The continual learning process for Real Estate Agents is one that focuses a great portion on Residential and Commercial Transactions. But often, the process of Buying and Selling Condominiums is grouped within the Residential training and most of it is learned by trial and error. The courses provided are worthwhile and valuable, but they only scratch the surface of what can happen during the Sale and what Property Managers, Lawyers, and Condominium Boards deal with on a daily basis. The process of requesting the Status Certificate during the Conditional Period of the Sale should provide for a 2 week window on the majority of Real Estate Offers in Ontario (some exceptions may apply, depending on the market) to allow the Property Management and the Attorney ample time within the 10 Day Standard to process, review and address any concerns. (This alone can cause some stressful moments for Property Managers and Attorney’s as the Agent may have neglected to provide adequate time frame to complete the request) It is my belief that there is a great opportunity for the Agent to engage and support the Managers and the Attorneys during the process. It provides their Client with further due diligence and increases the professional relationship between the 3 parties involved in the Status Certificate Request. The agent should also offer to act as the liaison for general inquiries to the property manager that the Listing Agent may not be aware of. 1. Fees vs. Fees: are you comparing like properties? Is one a newer condo? (ie. Less than 3 years) and if the condo is older (ie. 15-20 years) how healthy is the Reserve Fund? 2. Reserve Fund: When the Attorney reviews the documents, and needs some clarity or details the agent should offer to inquire on their behalf. (This also provides the Agent with the tools to be better advised for their Client’s needs). 3. When searching for an Attorney, like searching for a Real Estate Agent, the Client should inquire if they have experience with Condominium Purchases and how comfortable are they reviewing the Reserve Fund along with the By-Laws? The more the Real Estate Agent can support the process, the less surprises and last minute stresses will occur. In today’s age of access to quick information on the internet it is critical that Buyers/Vendors verify and confirm the information they are provided and ensure that it is vetted by either their Real Estate Agent (via the Listing Agent or through the Condominium Management Company) or through their Lawyer. As with any Residential Real Estate transaction, due diligence is critical but is definitely key in ensuring that one’s client (or yourself!) is fully aware of what is entailed when you purchase into a Condominium Corporation. 1. Real Estate Agents: Does your agent know what is involved in a Condominium Purchase? Ask them how much experience and/or education they have invested in related to Condominiums and related topics. 2. Searches: Residential Searches can also include Housing Associations which are similar to Freehold Condominium, but have different rules and By-Laws as opposed to Regular Condominiums. *the Key is ensuring your Realtor knows the difference. 3. Attorney: when researching to hire an attorney, your Real Estate Agent can provide you a list that they or their office have worked with. It’s a good practice to inquire which ones have had experience in reviewing Status Certificates and understanding Reserve Funds. 5. How old the Condominium building is. This can weigh into the review of the Reserve Fund, and how recently the Reserve Fund Study was completed. *note: Using a Home Inspector is always recommended, but Agents should ensure their clients are aware that reviewing common property that is enclosed/locked up is not a requirement. The Inspection should cover the interior of the Unit being purchased and a cursory review of the building exterior for information purposes only. Overall, the role of the Real Estate Agent shouldn’t be simply to process the sale of the unit, but also to support all the parties as they are the one common factor during the entire transaction. The ability of the Agent to provide assistance and valuable resources and information creates an environment of consistency and professionalism. With the ever changing real estate market continually moving towards a great amount of Condominium projects and Re-Sales, the Real Estate Community along with those that participate in the business is quickly becoming a core group that needs to be able to rely on each other for qualified assistance and accurate and timely business practices. It is a rare disorder, with a prevalenceof between 1 in 500,000 and 1 in 1,000,000. Between 1990 and 2007 buy modafinil with credit card in the United States, thenumber of THA increased twofold to about 200,000 and the number of TKA increasedalmost fivefold to about 550,000 [3, 4]. In that terrible moment he had two options—to savehimself, or to save his friends. Mature neutrophils possess two to fourlobes of nuclear material joined by thinner nuclear strands(Plate 17, page 306). 2001 ).A Cochrane review looking at single versus mul-tiple doses of surfactant described two papersusing animal-derived surfactants showing thatmultiple doses resulted in fewer pneumothoraces(RR 0.51, 95 % CI 0.30, 0.88) and a trend towardslower mortality (RR 0.63, 95 % CI 0.39, 1.02).They also described one study, using syntheticsurfactant, that showed lower rates of necrotis-ing enterocolitis (NEC) following multiple doses(RR 0.20, 95 % CI 0.08, 0.51) and lower mortality(RR 0.56, 95 % CI 0.39, 0.81). Pallidotomy has been found toreduce rigidity (Bravo and Cooper, 1959) and levodopa-induced dyskinesias, as well as improve motor functionoverall in both ON and OFF states (Uitti et al., 1997). Prior to puberty buy modafinil with credit card more males than females are diagnosedwith ODD; however, the rates equalize in adolescence. Improved tissue perfusion resultsin withdrawal of sympathetic overactivity heartrate and central venous pressure (CVP) are loweredtowards normal. Physiologists describe the nerve impulseas “jumping” from node to node along the myelinated axon.This process is called saltatory [L. Rectal examinationwas consistent with prostate cancer which was confirmed by needle biopsy and raised serumPSA level (30 ng/ml). Eight ofthe nine included trials were published after 1990(Davis and Henderson-Smart 2003). In fact buy modafinil with credit card in cancerrodent bioassays for carcinogenicity, the liver is the mostcommon site of tumorigenicity. The largest reduction occurred with 0.5 g and 1.0g of ginger. These are transformed intoBPAD (dose) values using the aforementioned equation,and confidence intervals are built. Such instillation isthought to cause the surfactant to be aspiratedinto the ? uid-?lled airway as an air–? uid inter-face is established.